Do you need an efficient electrician in Eastleigh? Then look no further as at JTB Electrical we understand that customers want someone they can trust. The services that we provide are designed around our clients and as the best electricians Eastleigh has seen, we take extra care with every project that we undertake. When it comes to tackling the electronics in your property, it pays to hire a professional team to ensure full compliance with health and safety. At JTB Electrical, our electricians in Eastleigh are the most knowledgeable and affordable around. Whether you require assistance hooking up a new entertainment system, testing the equipment in a shop or setting up the control wiring in a car park, we can help. No matter the property, our Eastleigh electricians can tailor our services to suit your needs. We understand that everyone has a busy schedule and when it comes to problems around the home or at work, we understand that you require a convenient solution fast. Our services ensure that you never have to worry; we work around you will aim to keep all disruption to a minimum. 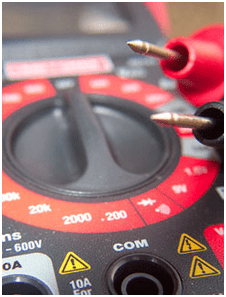 Upon contacting JTB Electrical, one of our electricians in Eastleigh will discuss with you your requirements and recommend the appropriate solutions. We can arrange a time to visit your premises that is convenient for you to carry out an inspection to ensure that we are aware of all of the potential risks. Our team utilise state-of-the-art thermal imaging technology to identify problem areas that you may otherwise have missed. We can then create a hard copy of our findings, so should any issues arise in the future, we will be able to react quickly and efficiently. Upon completing our inspection, our Eastleigh electricians will proceed with your project and aim to have it completed in a timely fashion. In addition to installing new electrical systems, our electricians possess the expertise to repair existing setups in Eastleigh properties of all shapes and sizes. We provide services for domestic, commercial and industrial properties and are able to complete many tasks, including adding extra sockets and installing burglar alarms. No job is too big or too small for us, and we will not turn down any request that you make of us. Why choose JTB Electrical for electricians Eastleigh? With more than ten years’ of experience, JTB Electrical is the number one choice for electricians in Eastleigh. With a wealth of knowledge, we can provide a whole host of solutions as well as honest and impartial advice on ways to maintain your electronics and save money. Our customers trust us to carry out their electrical work as they know that we will always act in their best interests. At JTB Electrical, we aim to provide the right people for the job at hand. As a NICEIC approved contractor, we ensure that each member of our team undergoes rigorous training and certification. Our Eastleigh electricians will carry out all work with full compliance to Part P of the Building Regulations. As a company, we pride ourselves on our customer service and are always looking to improve our services and save our customers money with competitive prices. To find out what the finest electricians Eastleigh has experienced can do for you, contact us today on 023 80 731575 or by email info@jtbelectrical.co.uk.